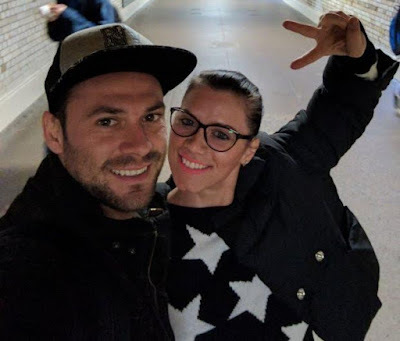 Andrea Cristea, the Romanian woman who plunged into the Thames during Wednesday, March 22, Westminster terror attack died on Thursday, April 6th, confirms Metropolitan Police. The 31-year-old who had been receiving medical treatment in a hospital following the attack, was taken off life support on Thursday. Andrea had been visiting London with her boyfriend, Andrei Burnaz, who also suffered a broken foot in the attack. It ‘s believed he was going to propose during their trip. Next of kin have been informed and are being supported by specially trained family liaison officers.Andrea’s death brings the number of victims of the attack to five. “After fighting for her life for over two weeks, our beloved and irreplaceable Andreea – wonderful daughter, sister, partner, dedicated friend and the most unique and life loving person you can imagine – was cruelly and brutally ripped away from our lives in the most heartless and spiritless way. “She will always be remembered as our shining ray of light that will forever keep on shining in our hearts. Andreea is now unfortunately not able to have part of the money that was raised for her recovery, so we would like to donate it to charity. She would not have it any other way. “There are no words to even begin to describe the crushing pain and emptiness that is left in our hearts. Our family, together with Andrei, are deeply touched and eternally grateful for the unimaginable efforts and never-ending dedication provided to her and us by the entire medical personnel of each and every hospital involved. Their kindness and empathy are beyond compare. Mario Baloteliand his ex-fiance back together?